Consulting firm VHB offered options its team believes could improve the Southlawn industrial area of Rockville, and make it more compatible with the residential neighborhoods that surround it, at a public meeting last night. Also attending the meeting at Maryvale Elementary School were David Levy, Chief of Long Range Planning and Redevelopment for the City of Rockville; Susan Swift, the city's Planning and Zoning Director; Rockville Planning Commission chair Don Hadley; and City Council candidates Richard Gottfried and Patrick Schoof. The suggestions fell into the categories of traffic, land use, and improving the viability of the current industrial uses. Traffic concerns were covered in the most detail last night. Dan Lovas of VHB said the team's traffic study suggests that 10-30% of traffic in the study area is cut-through traffic. The fact that much of the cut-through activity occurs during the rush hours, Lovas said, can make the amount seem greater than those numbers suggest. Schoof, who has been working with residents and business owners in the study area on several issues in recent years, asked if the study was an actual count using license plate data. That would more accurately show where cars ended up after driving through, and whether they were residents, or cut-through drivers. Lovas said they "haven't done a full-scale origin-destination study." Schoof said there have been ongoing concerns and questions regarding the accuracy of City-conducted traffic counts in the past. This was the most dramatic change proposed to reduce cut-through traffic. 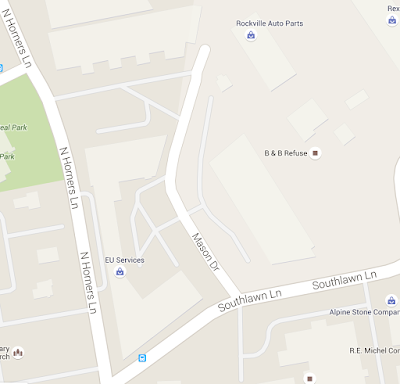 Access to N. Horners Lane from Southlawn Lane and Dover Road would be cut off, and a new loop would be created using Mason Drive to connect Southlawn and Dover. There is also a piece of land owned by Montgomery County that would be an alternative route for the potential road connection. When these options were presented, one current business owner was not pleased. "One of [the route options] takes my property," he said. He added that there is an African-American graveyard in a junkyard there, "so good luck with that." Cutting off the industrial area to the north, and preventing customers from reaching Southlawn businesses from the residential streets, were other concerns about this option. Regarding such current customer trips via neighborhood streets, land use attorney Bob Harris warned "You'll kill that once you cut off access to town center." Hadley said a larger issue is the overall lack of access from the study area to MD 355, which is cut off from East Rockville by the Metro Red Line tracks. He suggested the City explore the possibility of annexing land to permit a new vehicular crossing of the tracks into East Rockville. Swift said residents might not agree to such an idea, noting that past discussions regarding connections via Westmore Road/Avenue have not sat well with some residents in Lincoln Park. "There's not an easy fix" to the 355 connectivity problem, she said. Less drastic options included installing wayfaring signage that would encourage drivers to use Gude Drive and Route 28 to reach the Metro station and Rockville Town Center, and traditional traffic calming measures such as turn restrictions, speed humps, partial street closures and roundabouts. Another member of the VHB team said he was told that N. Horners Lane is considered a primary through street by the City, and may not be eligible for speed humps or severe restrictions on speed. Nancy Fox of VHB outlined possible strategies to improve economic conditions in the industrial area. She said the City could use its economic development tools and incentives, and smooth the regulatory and permitting processes. Businesses could also take active steps, she said. One approach recommended was for the Southlawn industrial businesses to form a Southlawn Business Association. Similar to a merchants' association, Fox said it could potentially be administered by an existing group like REDI or the Rockville Chamber of Commerce. The group could raise funds to facilitate streetscape improvements, and work with larger industrial associations. Schoof said he had concerns that the Chamber might not be the right fit to represent industrial businesses, and that REDI has programs primarily to attract new businesses and help current ones expand, as opposed to simply sustaining enterprises. He also warned of outside organizations being brought in from the region or state, if they did not have the best interests of the Southlawn tenants in mind. Harris concurred. Swift said that Southlawn having its own organization "is where the strength would be." On land use, VHB's Paul Mayer suggested making the properties along 1st Street and N. Horners Lane a "transition area" could better connect the residential neighborhoods with the residents of David Scull Courts, a public housing complex at Taft Street and 1st Street. He also suggested changing the zoning of David Scull Courts from industrial to residential, and creating a gateway to the community at the 4-way intersection of Taft and 1st. The latter would involve better pedestrian crossing infrastructure, and streetscape improvements to give a more residential character. One question that didn't come up regarding a zoning change for David Scull Courts - does the current industrial zoning protect those affordable homes from redevelopment? With all of the development occurring in the Shady Grove/Gude/Crabbs Branch vicinity, residential zoning would surely make the David Scull property worth a fortune. There was some consensus among attendees that many of the traffic issues in the study area may need to be addressed with the larger traffic congestion issues along MD 355 and Veirs Mill Road. Swift encouraged stakeholders to give feedback on those wider concerns, so that they can be taken into account in the study. Levy suggested the current citywide Master Plan process could also provide "a broader lens" for discussion of big-picture issues. 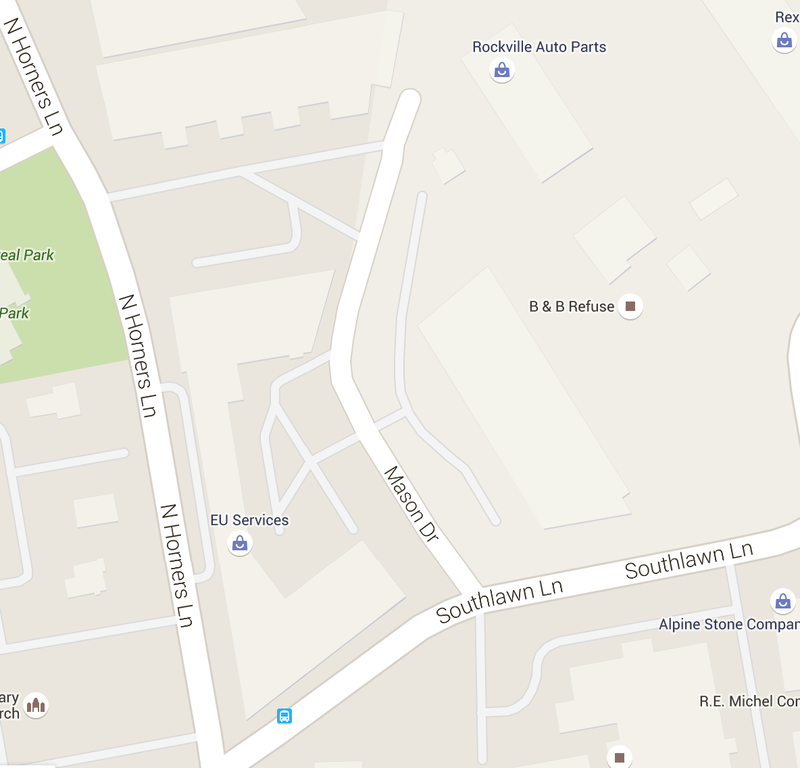 The next Southlawn public meeting will be on December 9 at 6:30 PM at Lincoln Park Community Center. An additional meeting will be held in January, and in February, the study recommendations will go to the Planning Commission and Mayor and Council. The fourth public meeting on the Southlawn Industrial Area study will be held tonight from 6:00 to 8:00 PM at Maryvale Elementary School (1000 1st Street), in the cafeteria. Representatives of consulting firm VHB will present their initial recommendations, based upon public comments at previous meetings, and their analysis. They will then collect more public feedback before making final recommendations. The study is an attempt to identify ways to reduce the negative impacts of the industrial area on nearby neighborhoods like Burgundy Knolls, David Scull Courts, East Rockville and Lincoln Park. It will also suggest potential changes or opportunities in land use within the industrial area. 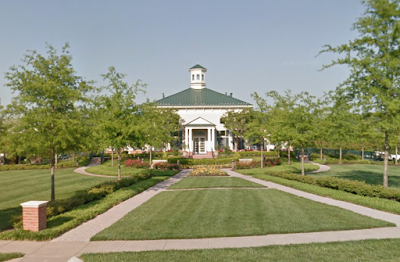 With less than a week until Election Day, Rockville mayoral and city council candidates made their closing arguments at a debate in King Farm last night. Sponsored by the King Farm Citizens Assembly, the debate was held at the King Farm Community Center. While early voting numbers over the weekend were hardly inspiring, this was yet another packed house for a candidate forum. That suggests a high level of interest by engaged voters picking those who will serve the first 4-year terms in Rockville's history. Given the closing window to change voters' minds, one would expect attacks to increase, and they did. But in an unusual twist, even the moderator of the debate - Rockville Planning Commission chair Don Hadley - found himself under fire. The table was set earlier Tuesday by former Chevy Chase Mayor David Lublin, writing on his politics blog, The Seventh State. Lublin questioned Hadley as the choice for moderator, because Hadley had a brief past business relationship with the husband of Mayor Bridget Donnell Newton. Mayoral challenger Sima Osdoby picked up this line of attack, charging that Hadley had several conflicts of interest in moderating the debate. Voters in the audience appeared taken aback by Osdoby's attack. Hadley made clear at the outset of the debate that the questions to be asked during the evening came directly from King Farm residents, not him, and that he received them shortly before the debate. Osdoby ran out of time in her opening statement, and after informing her of this, Hadley joked, "Maybe I should be relieved." The story isn't quite as sensational as it sounds, however. Newton's husband, Fred Newton, is being portrayed by her opponents as though he is the development equivalent of Federal Realty, EYA or JBG. In reality, the project Fred Newton and Don Hadley were involved with (408 Great Falls Road) was a couple of small residential lots being joined, and a single-family home being built on the resulting site. Not exactly Downtown Crown or Pike & Rose. It's hard to characterize a single homebuilding project as "an example of the powerful role development interests can end up playing." The article itself notes that Bridget Newton clearly recused herself from the Council vote related to the property in question. For her part, Newton seemed determined to stay above the fray. In her closing statement, she recalled former mayor Phyllis Marcuccio - a supporter - chastising her for being "too nice, not tough enough in these debates, or responding to postings on social media" by her political opponents. Newton said she preferred to let her record speak for itself, rather than engage in the political sniping. 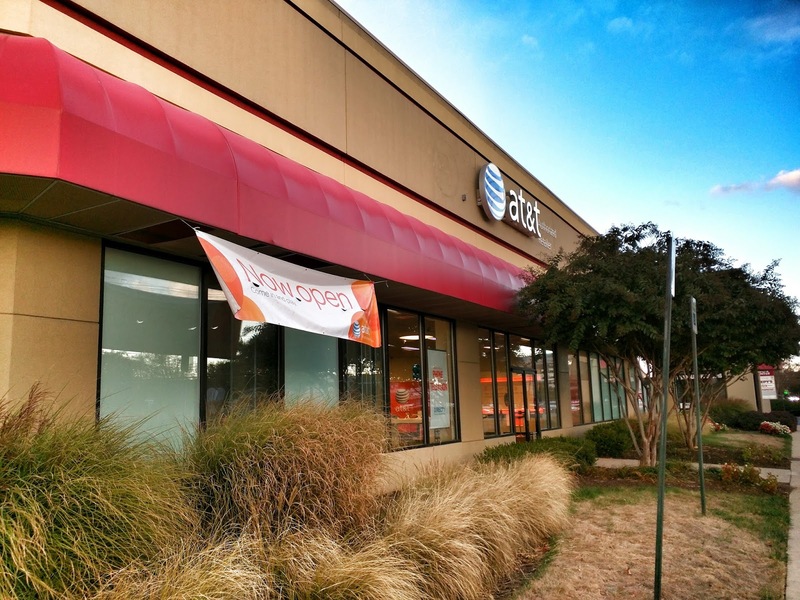 The Team Rockville slate, which includes Osdoby, has been under fire by some opponents for its alleged ties to developer interests, so it's understandable their supporters would seek to "flip the script." With Newton having a record of opposing unrestrained development, and of supporting Rockville's tougher pre-June 2015 school capacity standards (that kept parts of the City under a development moratorium), the accusations simply don't ring true. Another Team Rockville candidate, Councilmember Virginia Onley, has been repeatedly singled out by challenger Richard Gottfried, who has charged that 50% of Onley's campaign funds have come from development interests. Onley again denied the accusation in her opening statement last night, inviting anyone to review her October 26 campaign finance filing. "There are no developer contributions," Onley said. "I do not take developer contributions, or contributions from anyone who does business with the City," she added. She challenged Gottfried to provide evidence of any such contributions by the end of the debate. "I am demanding tonight to know where Rich got his information from," Onley said. Gottfried did not address the topic during the forum. Incumbent Councilmember Julie Palakovich Carr said the demise of the Gazette newspaper means "there isn't anyone to check the facts" when charges are made during the election season (of course, readers of this blog might disagree). Council candidate Brigitta Mullican attempted to separate herself from the squabbling, emphasizing that she has run a "positive, issue-oriented campaign" without engaging in attack politics. Fellow challenger Clark Reed warned that those engaging in "smears and lies" would likely continue those tactics if they are elected. Fortunately, issues were discussed as well, and ones of interest to King Farm residents in particular. The Corridor Cities Transitway remains not only unbuilt, but controversial in its Master Plan route through King Farm to the Shady Grove Metro station. Newton said she believes the CCT should travel along Shady Grove Road to the Metro stop, which would also help redevelop older properties along that street. "Dividing your community in half is not the way we should be doing things in Rockville," she said. Osdoby said that, while King Farm residents' complaints are "legitimate," the route is "in the plan," and all parties should sit down and try to iron out an acceptable compromise. Council candidate Patrick Schoof, a former resident of King Farm, said he has spoken with many residents of that community about the CCT. Most of them "don't want this to be one more thing that comes through King Farm," Schoof said. Speaking of things that come through King Farm, traffic on Redland Boulevard remains a bone of contention for King Farm residents. Council candidate David Hill noted that Redland is a "County access road." He suggested the City's best approach would be not to obstruct traffic, but to slow it down with traffic calming measures such as "lamb chops." Gottfried said he would push to install signs forbidding truck traffic, forcing it to use Shady Grove Road instead. Osdoby noted that some trucks may have legitimate business within King Farm, such as making deliveries. She said the City should discuss options for restricting pass-through truck traffic, and consider how best to implement them. Newton said she served on a committee in 1991 to address similar issues in the West End community, which produced a plan that the City failed to implement. She suggested trucks be routed to the roads that make up a circumferential highway around the City, rather than traveling through neighborhoods. The future of the King Farm farmstead buildings was another topic close to home. Mullican said, "I was hoping that it would have been done already." She suggested four-year terms will allow the next Mayor and Council to develop a long-term solution for the site. Council incumbent Beryl Feinberg said that solution might involve a Public-Private Partnership, to create a potential public gathering place for concerts and other events. Osdoby also suggested exploring partnerships on the farmstead. She said her experience in historic preservation with Peerless Rockville would make this "a real priority for me." Newton advocated for a "farm-to-table partnership," that would provide space for farmers markets and a museum consortium. She said division on the current Council has stymied efforts to move forward. The topic of slates was a contentious one. Hadley asked candidates to respond to concerns that slates come with an agenda for special interests, and create voting blocs. Reed, a member of the Team Rockville slate, said that slates were preferable to "wandering aimlessly into the future," with no clear agenda. Team Rockville member Osdoby said the unknown questioner was "entitled to their own opinion, but not their own facts." The members of Team Rockville are "not a bunch of clones," she said, but "bring together diverse points of view." Newton said she is "not a fan of slates. We are independent thinkers as a city. Let's be independent thinkers as a Council." Gottfried noted that it was the Team Rockville 2013 slate (minus former member Feinberg) who voted 3-2 to weaken the city's school capacity standards. Feinberg said she "discovered that really there was a lot going on behind the scenes [on Team Rockville] that I didn't want," leading her to become an independent candidate for this election. She promised to continue to make "independent decisions," earning the only other audience feedback of the night, a round of applause. Team Rockville Council candidate Mark Pierzchala stressed that the 3 members of Team Rockville from 2013 often disagreed on a variety of topics, disproving the idea that slates are blocs. Palakovich Carr, also on the TR slate, concurred. She said that, examining the voting record of the current Council, you would be hard-pressed to tell who was on Team Rockville 2013. Hill said he is concerned that slates are "a proxy for partisanship," and can be "unhealthy in a deliberative situation." Fellow independent candidate Schoof agreed, saying slates are "divisive." He countered the suggestion that Team Rockville's votes were independent, saying "it's not hard to see" who was on the slate. Perhaps referring to the school standards vote indirectly, where 90 residents and four civic associations testified against the change that was voted for 3-2 by Team Rockville (as Gottfried noted earlier), Schoof concluded that "If we're not honoring your wishes, we're not doing our job." Reed said he wouldn't be able to run without the support of the Team Rockville slate, and pointed out that slates have a 40 year history in Rockville. Onley said she, too, would be hard-pressed to fund a citywide campaign on her own. Hers is a "grassroots campaign" run on "minimal funds," Onley said. She promised she would "always vote independently," saying that's how she's earned her recognition as the "swing vote" on the Council. That teed up the topic for Mullican, who said "I don't like a swing vote when you don't know which way it's going to swing." She disputed that one couldn't run without a slate in Rockville. "I'm doing it," she declared. Mullican was the top fundraiser of all candidates in the first reporting cycle. The troubling results of a new survey of Montgomery County African-American youths highlight the failure of the County Council and Board of Education to close an achievement gap that has grown since 2010. Connecting Youth to Opportunity was produced by The Community Foundation for the National Capital Region, BETAH Associates, Inc. and Montgomery College. Survey results showed that black students are 3 times as likely to drop out of Montgomery County Public Schools as white and Asian students. And black students are 3 times as likely to be suspended from school as whites and Asians. The report also showed that Montgomery County's moribund economy, and weak job creation rate relative to Northern Virginia and the District, are disproportionately hurting African Americans. According to the survey results, only 8.7% of black high school students surveyed are employed, and only 30.7% of black high school dropouts have been able to obtain employment. Even Montgomery County's young black high school graduates are being hard hit, with only 39.7% of those surveyed currently employed. My suggestion for years has been to attract high-wage aerospace, defense and tech companies (and their accompanying research facilities) to the County - and have classroom space in those facilities as a provision for receiving County financial incentives. This would create internships, and high-tech skill acquisition, that would lead to high-wage jobs for students in our worst-performing schools. Instead, our County leadership is doubling down on decline. What are we hearing the MoCo political machine's next moves are on declining schools and record exam failure rates? "Soft bigotry" moves like building more luxury apartments on top of demolished affordable housing complexes, putting more rich white people in places like White Oak and Wheaton while displacing lower income residents, redistricting school boundaries - the third rail of MoCo politics, and - by golly - just getting rid of those pesky exams the kids can't pass. Let's hope this report provides them yet another wake-up call. 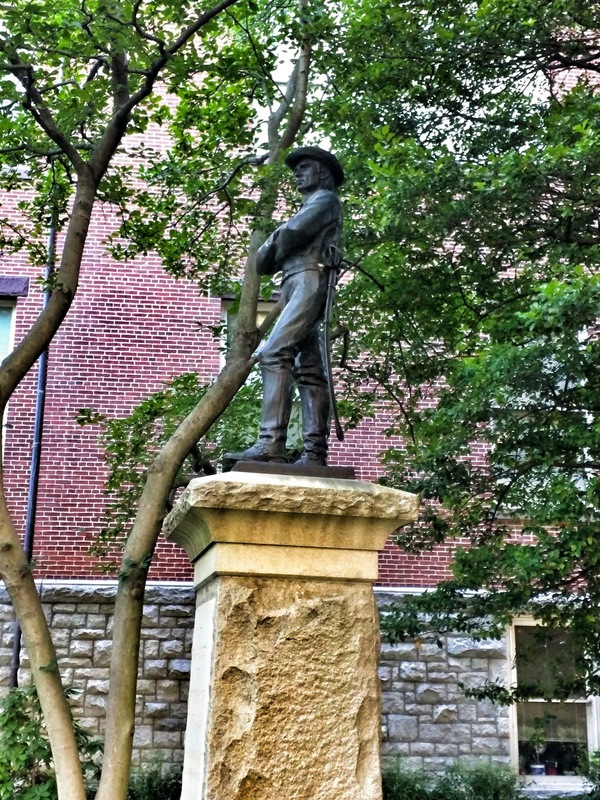 Rockville's Confederate statue remains on track for removal, as the Historic District Commission declined to revisit its September decision to permit Montgomery County to move it at its October 15 meeting. Opponents of the move had hoped the HDC would put a reconsideration of the decision on its November agenda. The hot topic was not even the subject of much discussion at the meeting, where Peerless Rockville Executive Director Nancy Pickard briefly addressed the HDC during the Public Comment period. She asked the commissioners to "take a fresh look at the decision," based on information that those who oppose the relocation have uncovered since the September meeting. Earlier in the evening, the commission went into a closed Executive Session, to receive legal advice on "correspondence received October 2." HDC Chair Rob Achtmeyer later noted the commission had received correspondence from Peerless Rockville and others, but the topic was not addressed further at that point. Close to the end of the meeting, Commissioner Craig Maloney did briefly comment on the statue request during Old Business. "I don’t think this is an appropriate course," Maloney said. "We made the correct decision on this." In other business, the commission declined to find 9 triplex units at 9701 Veirs Drive to be of historic significance. The homes will be replaced with a new residential building. Jim Wasilak, Chief of Planning for the City of Rockville, said the developer has not yet submitted that project for review by the Planning Commission. The Montgomery County League of Women Voters hosted a Rockville Mayor and Council candidate forum last night at the F. Scott Fitzgerald Theatre. LWV President Linna Barnes served as moderator of the debate. As the last debate scheduled before the first votes are cast in Early Voting this weekend, candidates were under pressure to land a few punches with a televised platform to work from. City Council candidate Richard Gottfried accused several members of the Team Rockville slate of being untrustworthy at the close of the forum. He said Council candidate Virginia Onley stated she had not received contributions from development interests, but that in reality, "50% of her contributions did come from developers." Onley has previously denied the charge. The second campaign finance reports are not due for another 3 days. Gottfried also accused Council candidate Julie Palakovich Carr of taking credit for creating the Vision Zero concept, a movement to reduce pedestrian and cyclist fatalities to zero that originated in Sweden. He said she "ripped off the idea from a New York plan," naming one of several jurisdictions that has tried to adopt facets of the plan. However, Palakovich Carr has cited the results of Vision Zero's success in Sweden in previous public forums, and she denied ever claiming credit for the proposal following the debate. "I never claimed the idea was my own," she said in an email. "As I previously said in other debates, Sweden is the poster child for Vision Zero, with pedestrian fatalities dropping by half in just a few years. Effective leaders don't reinvent the wheel. They look for best practices and modify them to fit the needs of their community. Vision Zero is a best practice that we should implement in Rockville." The ghost of Beall's Grant II was summoned by mayoral challenger Sima Osdoby during a question on affordable housing. That was a controversial affordable housing project planned adjacent to Beall's Grant, an apartment building converted from an old hotel at 254 N. Washington Street. The site was also adjacent to single-family homes in the West End neighborhood. Residents expressed many concerns, including loss of green space, out-of-character density and height, massing of affordable housing contrary to Master Plan recommendations that it be scattered, and the City having misapplied the then-new Adequate Public Facilities Ordinance, to allow the project to go forward. Ultimately, several citizens, including former Mayor Larry Giammo, were forced to take the latter question to court, and the project was ultimately tabled. Osdoby referenced Beall's Grant II, saying "When [current Rockville Mayor] Bridget [Donnell] Newton was representing her neighborhood association, I believe she opposed that." Newton said that in reality, she served as co-chair on a committee that was tasked with trying to reach a compromise between residents and the developer, Montgomery Housing Partnership, that would have allowed the project to go forward. She has also discussed her own ideas for a workforce housing plan that could potentially revive a blighted Montgomery County Public Schools property on Stonestreet Avenue. The mixed-income rowhouse concept would include affordable units for teachers, firefighters and police officers. Transportation, and Bus Rapid Transit in particular, came up often in the course of the evening. A majority of candidates support BRT, which is being proposed for Rockville Pike and Veirs Mill Road. Council candidate David Hill warned voters not to put too much hope into BRT, noting that it serves more of a long-distance commuting role than a City mobility function. Newton suggested BRT won't help Rockville's businesses much if it isn't implemented correctly, and simply moves commuters through the City. "We don't need people coming through Rockville," she said, "we need them to stop in Rockville" to dine and shop. Newton said she brings additional clout to Rockville as a member of the Metropolitan Washington Council of Governments Transportation Planning Board. "That gives Rockville a seat at the table" in regional transportation conversations and planning. Another of her transportation proposals, a Circulator or trolley, is gaining support among some of the other candidates. Onley said she supports a Circulator, in arguing that "mass transit is the answer to congestion." Newton said she was pleased the idea is catching on. "I've tried for five years to get a discussion going about a Circulator," saying "the last mile" for the transit-using commuter is a vital one to address. Osdoby said she would break down the major challenge of congestion into "short, medium and long-range solutions." She said passing the Rockville Pike Plan and BRT would be critical to success. Osdoby advocated for more cooperation with the County and state on transportation. "Rockville's role is really to be a forceful advocate of our needs," she said. "I'm not sure the City has always done the best job in doing that." Newton countered that, after former mayor Phyllis Marcuccio appointed her to a Maryland Municipal League committee, she was successful in bringing $2 million in state funds back to Rockville. Barnes brought up an interesting topic not previously discussed in the 2015 debate season. That was regarding the MCPS properties on Mannakee Street that include the Carver Center and Rock Terrace School. Palakovich Carr said the County does have plans for the Rock Terrace School, but "no definitive plans" for the Board of Education to move out of the Carver site. She recommended the City monitor the plans, and engage with the County. "We are somewhat limited in our oversight because of an issue called 'Mandatory Referral'," she said, referring to localities' reduced authority over government development projects. For example, the County Planning Board can advise, but not stop, a federal project like the Intelligence Campus in Bethesda. Council candidate Beryl Feinberg said the City should "work collaboratively" to determine what is best for those properties. Gottfried argued that the City should have begun working with MCPS on this issue as far back as 2012. Hill, who sits on the Rockville Planning Commission, noted that the front of the Carver site is already in long-range plans for Montgomery College. He urged the City to "start articulating plans for sites like this." Council candidate Brigitta Mullican said, "There's really not a whole lot the City can do," and recommended that it be upfront about those limitations, so residents do not have raised expectations. Onley called for "a bigger push" on the future of the site, making "sure we're at the table with Montgomery County." Council challenger Mark Pierzchala recommended forming a working group on the matter. He said there was precedence for such a group, in his own experience working with Montgomery College as President of the College Gardens citizens association. Council candidate Clark Reed noted that 2/3 of variations in the quality of schools are determined by non-school factors, and that it was important the City keep that in mind as it plans. Patrick Schoof, another first-time candidate for Council, was more optimistic about influencing the outcome on the site. "There is a lot the City can do," he said. "We simply haven't done it." He said the City needs to establish trust and an honest partnership with the County, and take "a much more proactive" approach than it has to date. How Rockville can meet the challenge of serving an increasingly diverse city population was a question posed to Mayor and Council candidates at Tuesday night's College Gardens/Woodley Gardens debate. Council candidate Brigitta Mullican said that, in order to improve outreach to a diverse community, "the place to go is the schools." Council candidate Beryl Feinberg agreed that reaching more residents is partly a location issue. She suggested city representatives "go to our ethnic stores," and that the City should host more ethnic festivals. Feinberg also suggested public information be provided not only in Spanish, but also in the many other languages spoken in Rockville. And she included the disabled as a population segment to which outreach is important, such as ensuring there are adequate sign language accommodations made in City communications. "Diversity is what makes this city attractive to me," Council hopeful Clark Reed began. "I don't see as much diversity on commissions throughout the city," he noted. Reed echoed Feinberg's call for more ethnic festivals. Council candidate Virginia Onley suggested the City's Neighborhood Resource Coordinators do more outreach. Incumbent Mayor Bridget Newton said, "Diversity is one of the main reasons [husband] Fred [Newton] and I stayed in Rockville." She said they wanted their children to grow up in a city that embraced diversity. Newton recounted the initial success her weekly Mayor's Book Club has had with ESOL students at Maryvale Elementary School. She said she was "amazed at the end of the year how much those children have learned." Mayoral challenger Sima Osdoby picked up a theme she discussed at a debate last week - how national and cultural backgrounds can impact residents' views of their government and law enforcement. They might have grown up in countries where those institutions are feared, and be afraid to take advantage of public services. Osdoby said it was important to ask those residents "what they need from the city," and work with representatives of ethnic groups in the community. And, as I reported yesterday, Council candidate Julie Palakovich Carr suggested the City study the possibility of allowing non-citizens to vote, noting that 1-in-3 Rockville residents was born outside of the United States. The other council candidates, David Hill, Patrick Schoof, Mark Pierzchala, and Richard Gottfried were not asked this question at the debate, but please see my previous article for their answers to other questions. Rockville mayoral challenger Sima Osdoby and Council incumbent Beryl Feinberg fired back at their political detractors at last night's College Gardens/Woodley Gardens-sponsored debate. A standing-room-only crowd packed into the Carnation Room at the Rockville Senior Center to hear what candidates' plans were for their neighborhoods and the city at-large. And they sat through to the end, earning praise from moderator Sen. Cheryl Kagan (D-District 17), herself a past resident of both communities. Osdoby cut right to the chase in her opening statement, addressing "the rumor going around" that she and her slatemates on Team Rockville are beholden to developers. "There is no room in Rockville for this kind of nasty campaign shenanigans," she declared. Feinberg was dealing with the second broadside against her campaign in as many weeks. But the primary target of her remarks was neither on stage nor on the ballot. Councilmember Tom Moore, who is not seeking reelection, took his once-ally Feinberg to task in a blistering critique on his blog. He chronicled Feinberg's evolution on the Adequate Public Facilities Standards controversy, frankly expressing his sense of betrayal at her shift. Feinberg was equally frank in her response, acknowledging her views on the APFS have evolved. "I've never said my view on the APFS did not change," she said. "I learned. I read. I listened to the neighborhoods. There have been several [online] postings lately that have been full of lies." Promising not to engage in attacks during the campaign, she said, "I have been above the fray." To the debate planners' credit, those weren't the only notable moments last evening. The format was decidedly more antagonistic than previous candidate forums this fall, including a segment where candidates were told to ask one of their opponents a question. It not only made the debate more interesting, but also helped voters learn more about the candidates. For example, Feinberg asked (or attempted to ask, as her question exceeded the 15-second time limit) incumbent councilmember Julie Palakovich Carr about Gaithersburg's current flirtation with allowing its schools to operate at 150% of student capacity. The new overcrowding limit was slammed by a PTA representative at Monday night's Gaithersburg Mayor and Council meeting. Palakovich Carr, who voted to raise the limit from 110% in Rockville to 120%, expressed disapproval of Gaithersburg's 150%, saying, "I think that's ridiculous." Council candidate Mark Pierzchala pointedly asked fellow challenger Patrick Schoof about his active role in stopping construction of the proposed EZ Storage facility adjacent to Maryvale Elementary School in East Rockville. Pierzchala attempted to cast Schoof's role as a negative, asking "Why should voters trust you when your past actions have been so extreme?" Schoof defended himself, noting that there were 120 pages of health and safety-related evidence against the applicant for the facility. He recalled the Planning Commission had narrowly allowed the project to proceed on a 4-3 vote, "not 7-0." Schoof also echoed earlier comments by Mayor Bridget Donnell Newton, arguing that, had the city performed the Southlawn Industrial Area study requested years ago by East Rockville residents, "this easily would not have gone this way." The City ended up banning self-storage facilities within 250 feet of schools, rendering the approved EZ Storage application moot, a decision that could be addressed in the courts. All of this could have been avoided, had the city acted on the Maryvale community's request for the Southlawn study earlier, Newton said. "Had that been done," she said, the project would never have been an issue. Monday night's 3-2 vote to postpone action on a report that found serious flaws in the City's purchasing practices has already become a major campaign issue. Councilmember Virginia Onley, who voted for the 90-day delay along with Moore and Palakovich Carr, asked council candidate Brigitta Mullican how she could pay for her property tax cut proposal. Mullican seized on the purchasing report, noting the potential savings to the city's budget if it were successfully implemented. Other cities of similar size have far smaller budgets than Rockville, Mullican noted. She said she wants "a complete review of how our money is being spent." Similarly, Osdoby asked Newton how she proposed to find the savings to eliminate the Cost Allocation Program, which Newton has said puts an unfair burden on taxpayers. Newton said that if Osdoby had watched Monday night's meeting, the report had shown a potential savings of $5-7 million, enough to allow the City to end the CAP program. "It is imperative that we show our taxpayers where that money is going," Newton said, noting that spending in some departments is "hidden from view in the CAP." Turning the tables, Newton asked Osdoby if she would have voted to "kick the can down the road" on the purchasing report. "When I have the same opportunity to look at it as you do, that's when I'll make my deliberations," Osdoby responded. The purchasing report has been publicly available online, not just to elected officials, however. 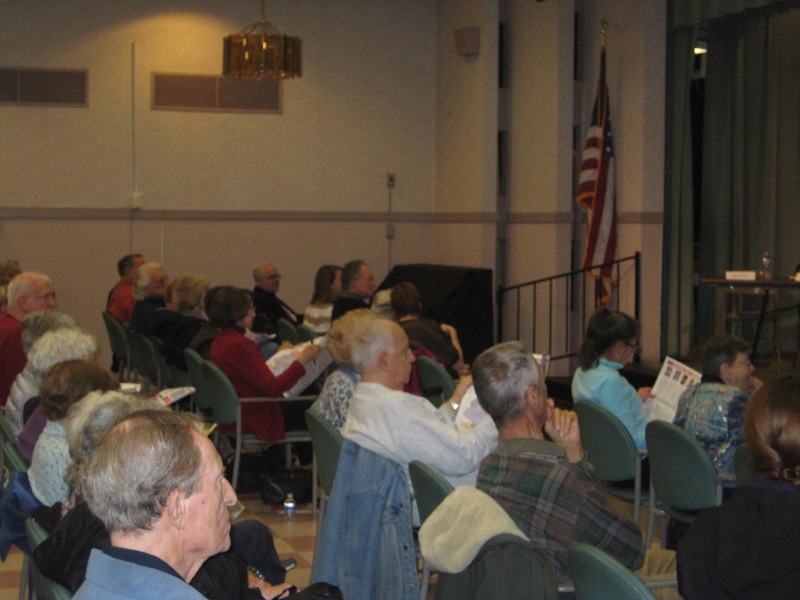 Candidates were asked how they propose to increase Rockville's notoriously-low voter turnout. Council candidate Richard Gottfried said that in the course of knocking on over 5000 doors across the City, many of those who answered don't match the names on the voter rolls. He suggested not overlooking the value of old-fashioned ways of getting potential voters involved, such as U.S. Mail and doorknocking. "Not everyone is high-tech," Gottfried noted. Schoof said voters would be more engaged if the Council was more responsive to residents' stated preferences, rather than voting contrary to the majority's wishes. Palakovich Carr said the City should have a conversation on the question of allowing non-citizens to vote. She said 1-in-3 Rockville residents was born outside of the United States, meaning many have "no say" in government decisions. Palakovich Carr also suggested the City consider again the question of moving its elections to gubernatorial or presidential voting years. "The depressing thing is," she noted, that innovations like early voting have only increased overall turnout by about 5%. Council candidate David Hill opposed such a change, worrying that presidential year voters wouldn't pay close attention to City issues. "The quality of the voters is more important than the quantity of the voters," was his conclusion as a member of the City's 2002 Charter Review Commission, Hill recalled. Pierzchala saluted the host neighborhoods of the debate for having the highest turnout in the City. Mullican said she feared partisanship would creep into the City's non-partisan elections, if they moved to a crowded and highly partisan Presidential ballot. The change could make already-difficult fundraising even harder for City candidates, she said. Feinberg suggested better informing voters of what city funds provide versus County and state funds, and providing seed money to create more civic associations where they don't exist. Crime was another topic covered last night that hasn't been discussed much during the campaign. Newton was out ahead of the topic in her September announcement speech, when she called for the hire of more police officers. She reiterated her concern that the City currently has only 59 sworn officers, while its daytime population swells to about 100,000 people. Newton also pointed out that more than 70% of calls are responded to by City, rather than Montgomery County, officers. The city should be recouping that $4 million in tax duplication funds, she argued. Osdoby urged the City to ensure there was adequate street lighting, a problem Pierzchala concurred with from his own experience as past president of the College Gardens Civic Association. "It's very hard to get Pepco to get them all going," he lamented. Pierzchala also suggested a data-driven Special Operational Unit that could target upticks in crime in specific neighborhoods. He also recommended "revising Neighborhood Watch in a big way," recalling seeing Watch signs with peeling paint when he walked every street in the City as a warmup to his campaign. "Rockville probably has the best police department I've ever seen," Gottfried said. He advised other communities have officers come out to pinpoint problem areas, as he has in Twinbrook, where he is President of the citizens association. Officers showed where bushes should be trimmed to eliminate hiding places, Gottfried said, and the neighborhood is seeking additional street lighting. Hill said the insularity of neighborhoods can sometimes increase their vulnerability to crime. "Visibility and awareness" are important, Hill said, and he shared Newton's concern over the size of the police force in the growing city. "We are the best defense against crime," Onley said, also suggesting police increase their visibility in neighborhoods. Council candidate Clark Reed said he thought community policing was working well in the City. He said police notify civic associations to crime spikes in a timely fashion. 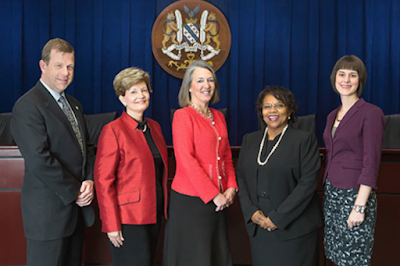 A 3-2 vote by the Rockville City Council last night will postpone implementation of a consultant's recommendations to address the city's purchasing problems until next year. The report, which cost the city at least $58,000, found serious flaws in practices, systems and employee knowledge of purchasing practices. On the positive side, no abuse or corruption was uncovered, and the consulting firm concluded that the city has the fundamentals in place to successfully turn around the problems. But Calyptus Consulting Group's George Harris said the city's "huge backlog" in purchasing, and low satisfaction among customers, are serious enough to require some fundamental changes. Foremost among these, is having purchasing report directly to City Manager Barbara Matthews. That recommendation was a major topic of discussion between Mayor Bridget Donnell Newton and Councilmember Beryl Feinberg - who both called for urgent action on a government function that makes up 60% of annual city expenditures - and Councilmembers Tom Moore, Julie Palakovich Carr and Virginia Onley, who wanted to delay implementation of the report's recommendations in favor of further review by Matthews and the city's Financial Advisory Board prior to acting. Feinberg said she had already identified changes proposed by the report that, in her analysis, could provide $3.1-4.96 million in cost savings to taxpayers. Moore agreed it was "an incredibly detailed" report "very valuable" to city staff in improving purchasing practices. But he challenged Harris on his recommendation to move purchasing under the City Manager's purview. "We have a 220 page report, and two pages were spent on this particular item," Moore said, noting that only one of the jurisdictions Calyptus compared Rockville with - Montgomery County - uses such an organizational chart, and its budget is billions more than Rockville or the other municipalities. "Why would we be outside the mainstream," Moore asked Harris. Harris said the change was justified by the huge purchasing backlog and low satisfaction ratings with the city's procurement actions. Moore asked Harris if he thought the vacant procurement positions were a "major contributor" to those two problems. Harris said they were, but noted the Procurement Manager position had been vacant for a year. "It didn't seem like the attention was being placed in Purchasing," Harris said. "We were down a couple of people in a small department," Moore continued, asking how that reality would justify the city treating procurement differently than other jurisdictions of similar size. "The need is where you're at right now," Harris responded, arguing that the city's current need to address purchasing problems outweighed the factors that got it to this position. "You're in a special circumstance," Harris said. "I don't think you're gonna get the attention [required] by keeping purchasing in the department it's currently in." Harris' report also found that the city's purchasing manual does not include over 25 areas of the city's purchasing code, that there was not a single purchasing report provided to the Mayor and Council that contained all of the necessary information elected officials needed to make decisions, that purchasing staff could correctly answer tests administered by the consultant only 44-56% of the time, purchasing was functioning at only 23% efficiency, there is currently no comprehensive system to track purchasing performance, there are no standardized forms or checklists across the purchasing system, that GAX payments or sole source bidding was being used in cases where they "should never, never be a sole source", and that P-card use was far higher in Rockville than in comparable jurisdictions. Onley said, "This is a lot to absorb in one night. We need to step back, and figure out how we're going to tackle this." She suggested the City Manager decide how to implement the plan. Palakovich Carr concurred that Matthews should weigh in on the report before proceeding. "I'm going to disagree," Newton said. "Those are things that need to happen right now." She said that the city had, in fact, just hired a Purchasing Manager, who will start this coming Monday. This would be the perfect time to switch to the suggested new system of reporting to the City Manager, Newton suggested. "As fiscal steward of our taxpayer money," Newton said, the Council shouldn't be second-guessing the recommendations. The mayor also challenged Moore's earlier suggestion that understaffing was to blame for the purchasing mess. "The backlog didn't just happen in the last year," she said. "This is an ongoing issue. We need to stop burying our heads." Palakovich Carr then made a motion to direct the City Manager to review the report, come back to the Mayor and Council in 90 days with her feedback, and allow it to be reviewed by the Financial Advisory Board. Feinberg was livid. "90 days is going to take this report and put it on the shelf. To wait 90 days to get something back is going to get nothing done," she predicted. Newton was also taken aback by Palakovich Carr's motion. "I am stunned by that motion, Councilmember." She said the report regards 60% of city expenditures. "Why would we wait another 90 days" to start saving money, Newton asked. "I'm flabbergasted." Turning around a talking point of her election opponents, the Team Rockville slate, she said, "It doesn't seem like people are ready to make the 'hard decision'. I'm really...I will not vote for that." "90 days," Onley wondered aloud, "is that a long time?" "It is a lengthy report," Matthews said, whose remarks on the challenge of taking on supervision over purchasing gave cover to the political arguments for waiting to act on the report. Likening an immediate change to "flipping the switch," Matthews said she would "need to get up to speed." She implied that to have "an entirely new division reporting to me on Monday" would be difficult. "I'm not comfortable with that," Feinberg said. "There's no way I'm going to agree to that." She said Matthews had sufficient experience and knowledge regarding purchasing to handle the new organizational chart. "90 days is next year," Newton said. "I can read the tea leaves," regarding opponents' strategy in delaying the report's implementation. If the city were any other organization, and it had received a report like this, Newton argued, "heads would be rolling." Palakovich Carr offered that if the length of the delay was the issue, "someone should offer an amendment to the motion." Feinberg offered one lowering the time to 30 days. Onley seconded it for the purposes of discussion, but concluded, "In light of [Matthews'] response, I can't vote for 30 days." Matthews weighed in further, suggesting more "adequate staff resources" might be needed to handle the new responsibility. "30 days is too short," she said. "Would you agree, Councilmember Feinberg, that supervising someone takes time?" Newton called a vote on Palakovich Carr's motion, which passed 3-2, with Newton and Feinberg dissenting. The report, and Matthews' analysis of its recommendations, will now await the next Mayor and Council who will be elected on November 3. "Making sausage isn't pretty," Newton said. "We've seen some of the ugliness of that here tonight." 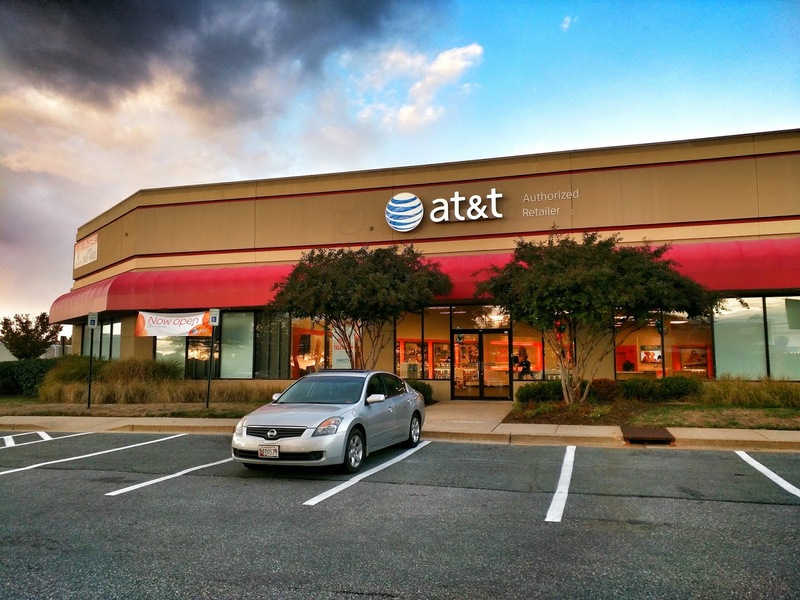 The venerable RadioShack is gone across from Congressional Plaza in Rockville. After a vacancy of a few months, their space has been leased by AT&T. For those seeking a RadioShack, there is one still operating at Westfield Montgomery Mall. The Rockville Senior Citizen Commission hosted a candidate forum Wednesday at the Rockville Senior Center. All candidates for Mayor and Council participated in the forum, which was well-attended. Incumbents listed their accomplishments on behalf of seniors, and all candidates discussed what they would do to address the concerns of a demographic that now makes up a quarter of all residents in the city. Current mayor Bridget Donnell Newton said the city needs to help seniors "not just to age in place, but to live in place." She said she had advocated for funding for the Senior Center's fitness center, bus route and hiring of new staff. Challenger Sima Osdoby assured voters senior services would be a priority, because "I'm one myself, and I want to stay here. That's one of the reasons I'm running." Asked what the issue of primary interest to residents over 60 is, Osdoby said it was "making sure we retain the outstanding city services the city is known for, without raising taxes to do it." Newton answered, "affordability." She said she was the biggest opponent of the Cost Allocation Program, that overburdens those on fixed incomes with higher fees on trash collection, and water and sewer services. "Some of our increases are unsustainable," Newton said, arguing those services should be funded from the general fund. The moderator asked both mayoral candidates what they would do to encourage seniors to stay in Rockville. Newton said she would expand opportunities at the Senior Center, such as adding a coffee shop. She said senior education, cultural, and fitness programs should be expanded. Osdoby said the city needs to remember not all seniors are alike. Some are very active and remain employed, she said. To that end, she said the city needs a variety of housing types to serve a variety of seniors. What part can the Senior Center play in reaching an increasingly diverse city population, candidates were asked. Osdoby replied that newcomers from some countries may be wary of authority figures from the government, or police. The city needs to make sure those residents "know they are being helped." Newton said the Senior Center Study is critical in reaching seniors. It would include interviews with over 40 stakeholders who serve seniors with non-profits and other organizations, and focus groups. The study would identify areas of overlap in services, and also the gaps, she said. Osdoby promised to adapt the city to "the new needs for seniors, for kids, and for the millennials," by "thoughtfully re-energizing [Rockville] Pike." Newton said she would advocate for a Circulator bus or trolley, and policies that give seniors "the choice to stay where friends are, where the streets are safe," and where there is easy access to public transportation. In a second forum, City Council candidates Beryl Feinberg, Richard Gottfried, Julie Palakovich Carr, Clark Reed, Patrick Schoof, David Hill, Virginia Onley and Mark Pierzchala discussed many of the same issues. Gottfried vowed to help seniors age in place, promising he would vote to limit tax assessments on houses of those 65 and older to 1 or 2%. Knocking on hundreds of doors recently, Gottfried recalled, the "number one complaint from seniors is that [they] cannot afford to live in Rockville anymore." Pierzchala touted his accomplishments for seniors during his prior service on the Council. "I was the one who got things done," he said. "I funded your fitness center." He also said he helped secure conduit bonds for improvements that helped seniors at the National Lutheran Home. In 2013, he said, he supported expansion of the homeowners tax credit. Palakovich Carr said a water conservation program she spearheaded is saving fixed-income residents $100 or more a year in savings on water bills. She proposed charging residents for the amount of trash they generate to encourage a reduction in trash versus recycling. Reed said he would "prepare the city for a future that is quite different from the present." Feinberg said she "led the charge for the Senior Center Study," and advocated for the generator at the Senior Center. One reason Onley voted to weaken the city's Adequate Public Facilites Standards on school overcrowding, she said, was to encourage development of affordable housing so "seniors like you and me can afford to live in Rockville. We should be able to stay here throughout our golden years." Onley said she was the first non-senior to ever serve on the Rockville Senior Citizen Commission. With her professional background at IBM, she said, she was an effective advocate for adding a computer lab to the senior center even as many predicted "seniors and computers would never fly." Hill cited his vast experience on the Rockville Planning Commission, where he has been hands-on in approving and shaping multiple developments that served seniors and the disabled, including the Victory Housing project. Mullican said her parents had to move out of Rockville due to the cost of living there, saying that personal experience would motivate her policies to help other seniors age in place. "I know what it's like to have income that has not increased," while fees and taxes have, she said. Schoof said he has worked on programs as a consultant that helped seniors here and abroad. He said Rockville needs to address a senior population that has increased 24.7%, and will double by 2060. On the question of whether seniors should get a discount on city taxes and fees, Onley answered, "Well, being a senior, I definitely want a discount," to chuckles from the crowd. But realistically, she said, the city should at least try to minimize or avoid increasing those taxes and fees. Feinberg said, "age is not the issue." Means-testing is the more sensible way of determining who should get a discount. Gottfried said he wants to increase the amount Parks and Recreation spends on senior programs. He noted that spending for seniors is currently only 8% of that budget, while seniors make up a much larger portion of the population than that. He also proposed giving out more taxi subsidy tickets, and creating a list of volunteer drivers to help seniors run errands and reach medical appointments. Pierzchala noted that only a fraction of Rockville's seniors are members of the Senior Center. He suggested having satellite programs that would be closer to more seniors across the city. Reed and Palakovich Carr said seniors could more easily renovate and retrofit their homes for aging in place if the city permitting process was streamlined. They both said their own home improvements made them realize the current permitting system is "onerous." Putting the system online would also help, they said. A development project delayed repeatedly over the last decade had yet another scare last night before the Rockville Planning Commission. But Avalon Bay's Twinbrook Station apartment site plan ultimately gained approval, before the end of another epic Planning Commission meeting - a meeting that began last night at 7:00 PM, and ended early this morning. Avalon Bay has proposed building a 55' high, 238-unit apartment building at 12720 Twinbrook Parkway. There will be 24 studios, 115 1-bedrooms, and 99 2-bedroom units, and a 351-space parking garage. Thirty units will be set aside as affordable housing. Amenities promised include a swimming pool, fitness center and club room. Despite the Twinbrook Parkway address, the main driveway access will be off of Ardennes Avenue. The project site is less than a quarter mile from the Twinbrook Metro station. Ranging from only 3-4 stories despite that transit-oriented location, the project had to also balance its proximity to the single-family home neighborhood directly adjacent to it. Commissioners - including Jack Leiderman, who cast the only dissenting vote against the plan - praised the applicant for its restraint on height and density. Concerns mostly centered on its impact on schools, including Twinbrook Elementary; traffic circulation; and public safety. The school question caused the commission to briefly jump ahead to a discussion of what school capacity data it should consider related to projects, which had originally been confined to a later agenda item. 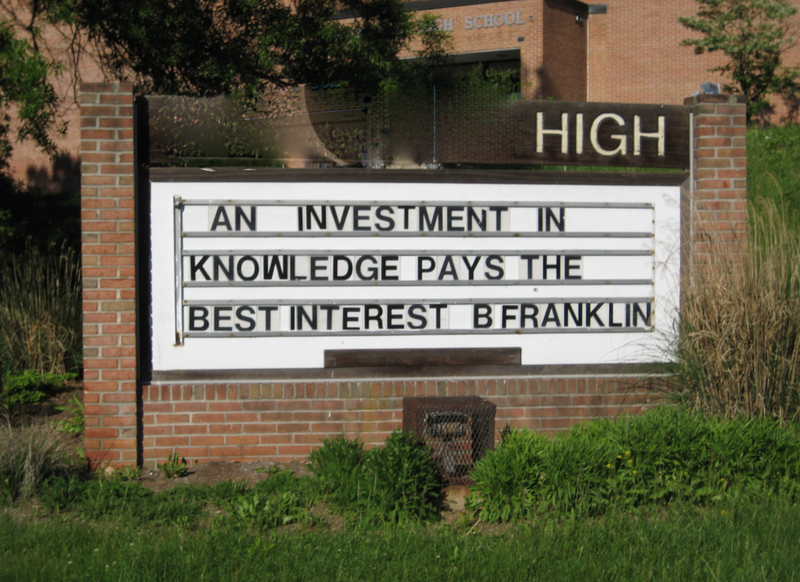 Leiderman argued strongly that - despite this year's decision by the City Council to allow more overcrowding, by weakening Rockville's Adequate Public Facilities Standards on school capacity - the Planning Commission retains significant oversight authority and responsibility to ensure adequate classroom space. “I do have one concern here that has to do with schools," Leiderman said of the Avalon Bay project. "Twinbrook Elementary is struggling with being over-capacity. The APFS standard, per se, when we go to the finding that we would make…the standard number three about the adequate public facilities standard…that does not preempt a municipal planning commission from taking into account what’s going on at a local school near the site." While Avalon Bay's projected student impact "may not trigger an automatic moratorium, I would contend that the planning commission still” has authority to consider the capacity of schools in that cluster, Leiderman suggested. He recalled that Councilmembers Tom Moore and Virginia Onley, in voting for the APFS change, "made the point that nothing in the APFS change restricts the planning commission from evaluating [school capacity] on a case-by-case basis. I take that to heart [in considering] the general welfare finding. I’m not equipped with enough data to make a finding." “We suggested that that’s not appropriate,” planning staff liaison Andrew Gunning said of why staff was not furnishing all of the numbers Leiderman and others have requested. Because the city has adopted a new standard, it should stick to that in measuring impacts of developments, Gunning argued. “To look at two different sets of measurements…would be really confusing and introduces a lot of, just, confusion,” Gunning said. Leiderman replied that detailed data is necessary for the commission to holistically consider whether or not there are adequate public facilities to permit approval of a particular application. As it stands, “I don’t have the information I would need as a commissioner to do due diligence to make a finding,” Leiderman said. Commissioner John Tyner disagreed. “We are bound by what current law is. That is what staff has based their recommendations on,” Tyner said. Avalon Bay's attorney, Barbara Sears, objected to the late discussion of new school-capacity criteria. "I believe in the rule of law," Sears said regarding the new APFS revision. "I know you’re disspointed it was adopted, but the city has adopted" a lower standard. Commission chair Don Hadley agreed with Sears in principle, suggesting that Avalon Bay - as the first applicant to come before the commission under the new standards - shouldn't be penalized for that random fact. He concurred with the idea of the commission discussing new tools it could utilize to fulfill the responsibilities Leiderman suggested were within its authority over schools. But, Hadley said, "this is not the project" to have that discussion around. With school concerns off the table, there were not any issues that threatened to derail the project. Regarding traffic, some commissioners were concerned that the Ardennes access would have a negative impact on streets like Halpine Road. Katie Mencarini of the Rockville Department of Public Works said that traffic studies showed the Avalon Bay development would actually generate less vehicle trips than the previous office use. Leiderman, in discussing the lack of rear driveway access for firetrucks, segued into a discussion of a catastrophic fire at another Avalon Bay development in New Jersey. That fire left 1020 residents homeless, and is the subject of ongoing litigation and investigation by authorities, Leiderman noted. Avalon Bay's Martin Howle acknowledged the January blaze at its Avalon at Edgewater apartments was "clearly a tragedy." New Jersey fire officials blamed that five-alarm inferno partly on the building's "lightweight wood construction," according to NJ.com. But, Howle asserted, "the building actually performed the way it was supposed to," allowing occupants to escape. He said Avalon Bay has hired safety officers since the fire, and promised their Twinbrook project would have an "upgraded fire suppression system," beyond what current regulations require of developers. "We take these issues very seriously," Howle assured commissioners. Commissioner David Hill questioned if there would be sufficient parking, were the 2-bedroom unit tenants to have more than 1 car. Sears said the parking-to-units ratio at Twinbrook would be 1.5, higher than the 1.2 average among other Avalon Bay properties. Hill also expressed concern over the lack of employment in the all-residential project. Sears replied that the primary motivation for the 100% residential proposal was that "the community didn't want to see retail in there." She noted that there are many jobs available within short walking distance of the site, most notably at the Department of Health and Human Services site. Tyner moved to approve the site plan. His motion was seconded by Commissioner Anne Goodman. Commissioners approved the project by a 6-1 vote, with Leiderman dissenting. The commission held a short discussion of the APFS staff report, but decided to postpone an in-depth conversation due to the early morning hour. Leiderman mentioned that courts have ruled schools are a local concern, meaning that the city could write laws regarding them, even if it doesn’t directly control them. He also suggested there needs to be an adequate public facilities element in the citywide Master Plan the commission is currently working on.